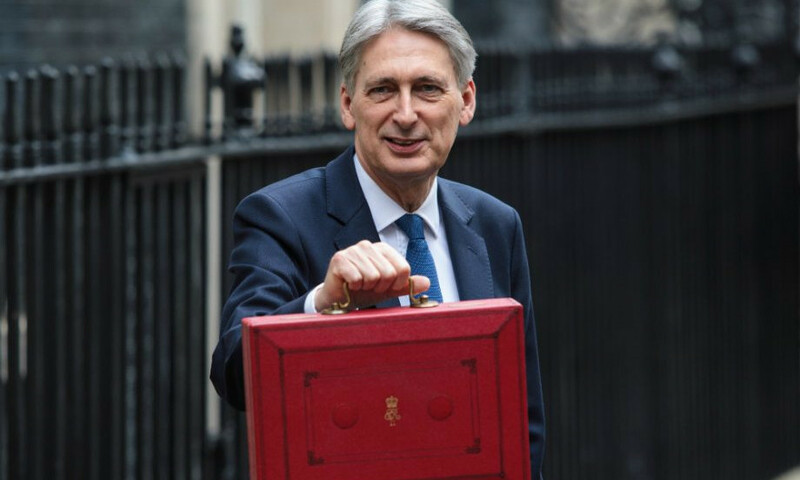 On Monday 29 October, the Chancellor of the Exchequer, Philip Hammond, delivered Budget 2018 (the "Budget"). Understandably, given the UK’s upcoming withdrawal from the European Union and the resulting uncertainty that has faced businesses as a final Brexit deal is yet to be seen, the Chancellor’s speech was less about tax and more about how the era of austerity is "coming to an end". However, this doesn’t mean that tax was ignored entirely during the Budget. Although there were no seismic announcements when it came to tax, plenty of changes were revealed that sole traders and other small to medium-sized businesses ("SMEs") should be aware of. A new Budget usually signals changes to certain rates, especially when it comes to the personal allowance and income tax thresholds. This year’s budget was no different, which means that business owners should take note of the below changes. If you’re a sole trader, then you may be pleased to hear that the personal allowance will increase to £12,500 from 6 April 2019, rising from the current allowance of £11,850. This new allowance of £12,500 is expected to apply for tax years 2019/2020 and 2020/2021. Equally, the Chancellor announced that certain income tax thresholds will also change from 6 April 2019. Specifically, the higher rate threshold, which is the point at which individuals pay 40% income tax, will increase to £50,000 – a rate increase that has been brought in a year earlier than expected. The new £50,000 threshold is also expected to apply for the tax year 2020/2021. Changes are afoot as to which businesses will be able to claim the employment allowance in future tax years. Currently, the employment allowance is available to all employers. However, from April 2020, the employment allowance of £3,000 will only be available to employers that have an employer’s National Insurance Contributions (NIC) liability below £100,000 in the previous tax year. While this change will not affect the smallest businesses, businesses that typically have a large number of employees or high National Insurance liabilities should seek further advice from their payroll provider or accountant to see how these changes could affect them. IR35, also known as the intermediaries legislation, has been subject to a lot of focus recently, and this new-found attention does not appear to be going anywhere anytime soon. In a bid to ensure that contractors who fall within the scope of IR35 comply with the legislation, it appears as though there will be an extension to the off-payroll working rules to the private sector. This announcement follows a consultation that was released back in May 2018. While similar rules are already in place in respect of the public sector, changes within the private sector are not scheduled to come into effect until April 2020, giving affected businesses and contractors plenty of time to adjust to the new rules. What’s more, the reforms will not apply to small businesses, which will undoubtedly be a relief given the additional administrative pressures that these changes will more than likely bring. Some of the biggest announcements from the Budget in terms of tax fell within the area of business taxes, with some announcements more welcome than others. There were a few changes when it came to the world of capital allowances, with the Annual Investment Allowance (AIA) taking centre stage. Specifically, the AIA will temporarily increase from £200,000 to £1 million in respect of qualifying expenditure incurred over a two year period, starting from 1 January 2019 and ending on 31 December 2020. From 1 January 2021, the AIA will reduce back to £200,000. This is great news for any SMEs that typically spend large amounts on qualifying plant and machinery. Equally, the measure may also encourage more businesses to invest in such items during the two-year increase. Either way, it’s a move that could prove beneficial for both businesses and wider investment in the UK. While the increase to the AIA will be welcome news to many SMEs, it’s not all good news when it comes to the Budget and capital allowances. Specifically, items of plant and machinery that fall within the special rate pool (for example, high CO2 emission cars) will see their rate reduce from 8% to 6% as of April 2019. As ever, if you’re unsure about how changes to the AIA and capital allowances more broadly will impact your business, reach out to your tax adviser for further advice. You may have heard that the Chancellor announced a new tax - the digital services tax - during the Budget. Expected to apply from April 2020, this tax will amount to 2% of the revenues of certain digital businesses to the extent that they derive value from UK users. Although the finer details of the digital services tax are yet to be decided, as the government plans to consult on how best to design the tax, it’s worth knowing from the outset that it is only intended to target large digital businesses with in-scope global revenues that exceed £500 million per year. This means that SMEs can rest easy, as they should not be within the scope of the digital services tax. There wasn’t too much to write home about when it came to the world of corporation tax, although the below announcements may be relevant to some incorporated SMEs. The main - and perhaps least interesting - thing to note from the Budget is that the rate of corporation tax will remain at 19% in respect of the 2019 financial year, although it is still scheduled to drop to 17% starting from April 2020. It was also announced that a consultation will be launched in respect of the limit of payable tax credit that a loss-making company can claim under the R&D SME tax relief. Specifically, a limit will be applied to the amount of payable tax credit, which will be set at three times a company’s total NIC and PAYE liability for the period. As a result, any loss that a company cannot surrender for a payable tax credit would be able to be carried forward and used against future profits. These changes will come into effect in respect of accounting periods that begin on or after 1 April 2020.
Business owners may, or may not, be pleased to hear that the VAT registration threshold will remain at its existing level - currently £85,000 - until April 2022 at the earliest. Similarly, the VAT de-registration threshold will stay at its current level of £83,000 until April 2022. Although the government has previously noted that it is looking into the possibility of introducing a form of smoothing mechanism when it comes to VAT registration, no such changes will be considered until a clearer picture of the terms of the UK’s Brexit deal is available. In reality, the relative lack of major tax announcements during the Budget may come as a relief for many business owners. Between the ongoing uncertainties surrounding Brexit and the upcoming rollout of Making Tax Digital for VAT, businesses certainly have a lot on their plates at the moment. Having said the above, there are of course announcements within the Budget that could impact businesses in a number of ways – whether that’s in relation to changes to the personal allowance, the increase in the annual investment allowance, or the reduction to the capital allowances special rate pool. As a result, it’s still worthwhile checking in with your accountant or tax adviser for further information on the measures outlined in Budget 2018 and how they may affect your business.